One of the most anticipated moments of the start of every summer season is when drum corps across the country get into their uniforms for the very first time. While some corps will take the field in 2013 wearing variations on a theme of their familiar garb, others will be taking a drastic departure that might leave some fans wondering, "Who is that corps?" 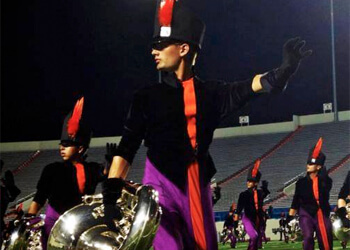 To get you up to speed on the latest fashions of 2013, we've compiled a gallery of uniforms, both new and old, from corps who have been actively posting to Facebook, Twitter, Instagram and YouTube.